Mountain Shepherds is active all over the upper reaches of the Uttarakhand Himalayas of India. Mountain Shepherds was founded in Lata village of the Nanda Devi Region, where the Bhotiya people have worked as traders, farmers, shepherds, and mountain guides for centuries. In 2006, Mountain Shepherds trained forty guides at the Nehru Institute of Mountaineering in the first programme of its kind geared towards local youth. Mountain Shepherds has welcomed university students from Canada and the US every year since 2004. Mountain Shepherds organized artist camps in 2004 and 2005 to raise seed funds for its ecotourism initiative. The foundations of Mountain Shepherds were laid in 2004, when Lata village began celebrating an Annual Nanda Devi Festival. Nanda Devi was once one of the most sought after peaks in the Himalayan range until its closure in 1982. An American-British team first ascended the peak in 1936. For cultural survival, sustainable livelihoods, and a thriving community through ecotourism. For centuries our caravans have travelled these mountains, their songs bringing life to the valleys. For the last few decades our voices lay silent. Now in changed circumstances we are readying to take control of a new tourism industry with community responsibility, cultural survival, and ecological sustainability at the forefront. This newly revamped web site highlights our efforts and offerings as part of the Mountain Shepherds Initiative, a newly formed community-owned and operated ecotourism company that grew out of our famous Nanda Devi Campaign for cultural survival and sustainable livelihoods. Our guides hail from communities all over the upper reaches of the Himalayas and have been trained at the Nehru Institute of Mountaineering through the generous support of countless friends, scholars, and like-minded organizations. Please feel free to peruse its contents and contact us for further information on how you can arrange your travel plans. 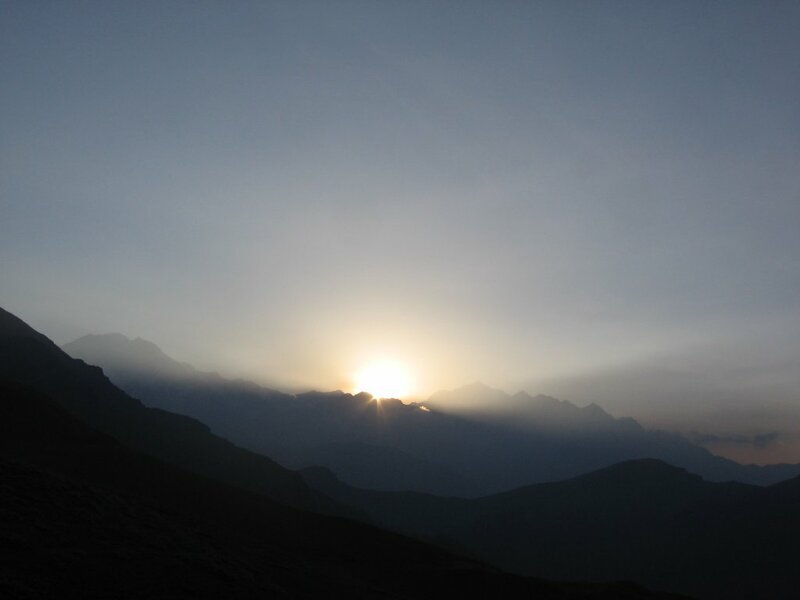 Our folk memory goes back centuries, who then can introduce you to the Himalayas better than we can! Even before its inception, Mountain Shepherds and its affiliates have been facilitating excursions, treks, and university-level courses in the Niti Valley and beyond. Mountain Shepherds has raised the banner of socially equitable and locally-owned ecotourism through community mobilizations and cultural events. Mountain Shepherds has prepared several short clips highlighting the possibilities available to trekkers in the Uttarakhand Himalayas.